For the last several centuries Sicily has been situated on the path of hilarious Mediterranean trading and in the center of the relations between Europe and Africa. The result nowadays is the mix of ancient Greek temples, Roman churches and Baroque palaces. If you add on top of it the natural wonders, the excellent local food and the extraordinary coffee, then you have got not just 7, but at least 70 good reasons to visit Sicily. 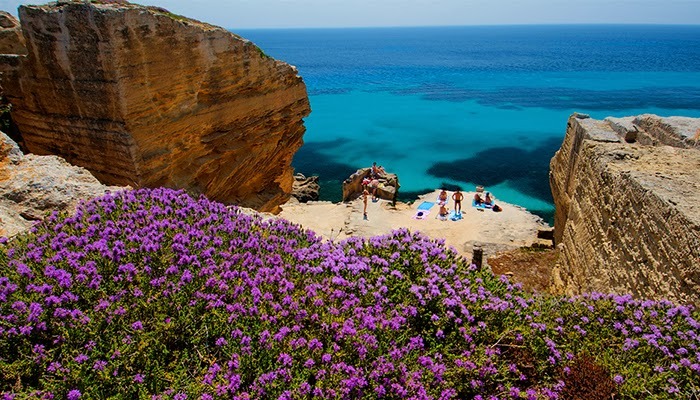 Even through the winter the weather climate on the Sicily Island is nice and friendly. 20 degrees C* is the normal temperature rate for January-February period, and yet at the end of February the fields are covered with flowers. So if you are not a bad-weather fan, there is your perfect escape place from the cold winter climate. During the summer season (July-August) the sunrays could be too strong, but the coastal areas welcome cooling sea breeze. 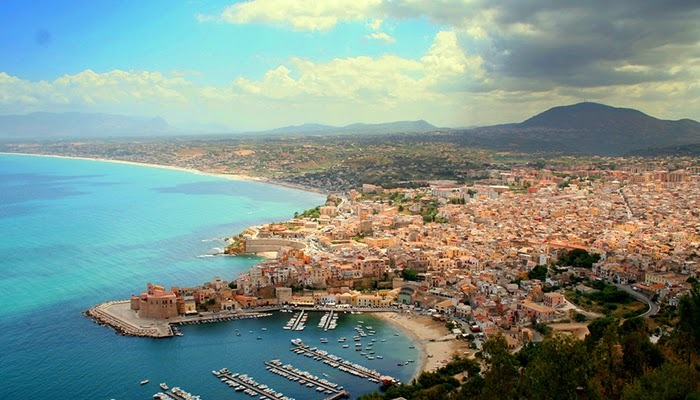 The seaside of Sicily has roughly 300 beaches and it would be very difficult to point which the most beautiful one is. It is sure that the seawater is crystal blue, the sand is soft, and the sunsets above the sea level turn to be a great romantic end of your relaxing day. If you walk out of towns, you can find hidden, peaceful and non-affected by man beaches only for you and without any disturbance. At first sight, the Sicily people could leave the impression to you that they are shy and unsociable (actually, nothing common with the views about the mafia movies), but only a big smile and couple minutes are needed to discover their true hospitality and open heart characters. Even these locals who do not speak English, will do everything to be of assist to you and to guide you when asked politely. Who could imagine that you should have to visit Italy in order to see the most preserved ancient Greek Amphitheatre in the world? It is situated in the town of Syracuse and during summer you can watch and enjoy various plays on its scene. 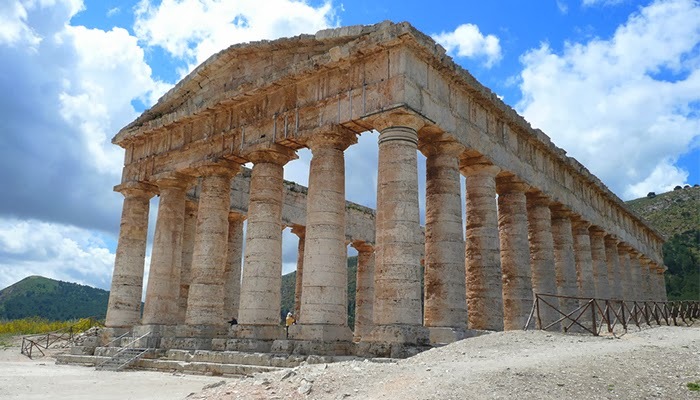 Agrigento, Segesta and Selinunte are the towns in which you can see the biggest number of ancient Greek temples and ruins of the Greek cultural inheritance. Some of them are quite distant from cities, but others are situated in the middle of the modern part of towns. Sicily is worldwide famous with its great wines – and there is nothing better than that to try these in the land where the grape, from which these are made, matures! The food of the island will be remembered by you and kept in your heart – not only because of a special ingredient, but also because it is all fresh, almost just got from the garden or caught, according per the season. Not to mention the famous chocolate from Modika, and the ice-cream as well! If you claim on the biggest active volcano in Europe, you will see the bubbling lava in short distance. The Etna is capricious and hot in the true meaning of this word, and often spews thick clouds of ash that spread above the island and the sea for days. You can take a walk around the churches, the palaces and the catacombs of the Capucins in Palermo. You can visit Taormina because of the beautiful beaches, the extraordinary sight like from a balcony above the sea and the Etna volcano in the opposite. The southern diamond Ragusa looks like specially made for photographs, with its Baroque architecture.